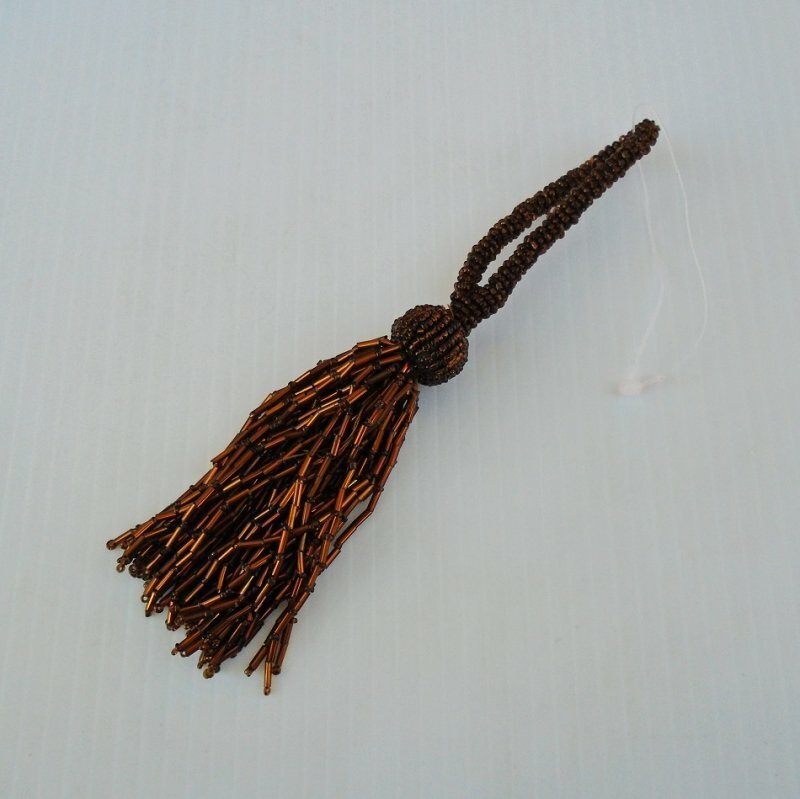 Brown and copper colored tassel pull, 4 inch body with 7 inch overall length. Use for shade pull, zipper pull, purse or suitcase decor, bookmark and other uses. The pulls have never been used. The plastic store tag holder is still attached, but the price/inventory tag is gone so I have to list them as a used item. When purchased, they were all in their original store bag. This one is brown and copper in color. It is made from bugle and ball beads. It is actually a total of 7 inches long. I put the length of 4 inches in my title because that is the length of the body and when you add 3 inch hang cord you get the total length of 7 inches.